Welcome to 298 Muskoka in award winning Maple Leaf Golf & Country Club. 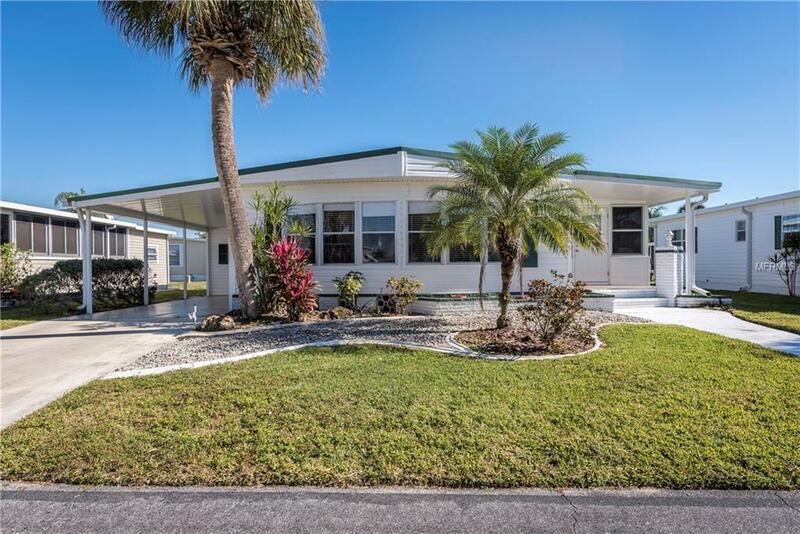 This furnished 1978 24'x36' Jacobsen built, double-widemanufactured home is move-in ready. 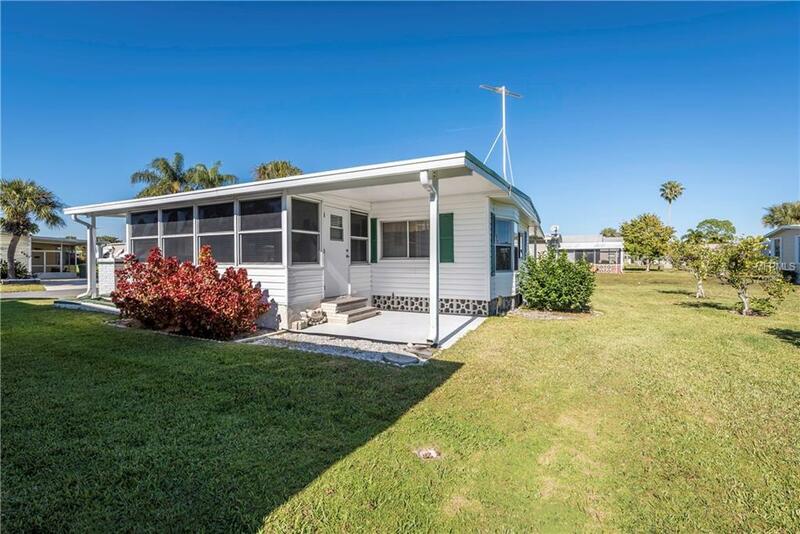 Sanibel Floor plan features 2 Bedrooms, 2 Bathrooms, Living room, Kitchen and Dining room. Spacious 18'x10' Lanai. 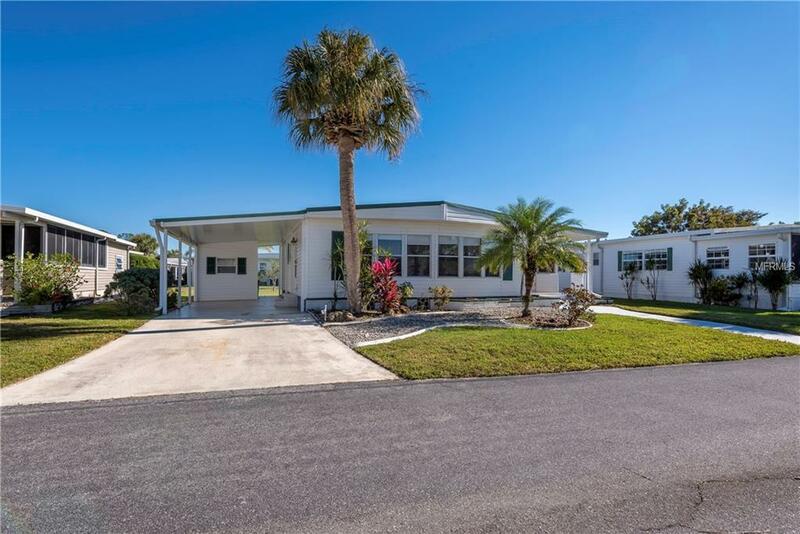 Large covered patio on rear of the home to enjoy the Florida sun. Long driveway with covered parking. Located on 4,739sq ft interior lot with southeast rear exposure. 64 sq ft storage shed with laundry. Spacious master bedroom features en-suite bath with single vanity and walk-in shower. Guest bedroom has Murphy bed for overnight visitors. Guest bath features single vanity and tub/shower combination. Home prices include $40,000 membership certificate/share. 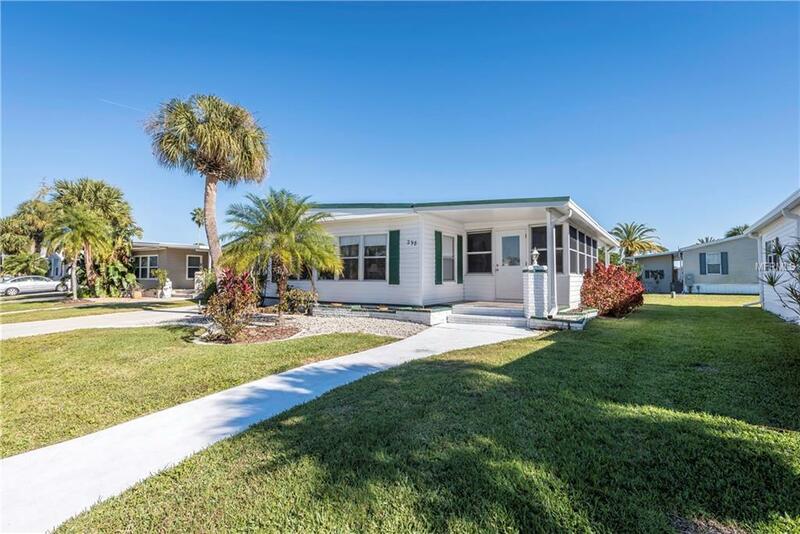 Located in an award winning resident owned 55+ gated golf course community with an active resort lifestyle. Features a Par 62 golf course,5 tennis courts, bocce ball, lawn bowling, 2 shuffleboard court centers, 4 heated swimming pools, 2 hot tubs, fitness facility, woodworking facility, 75+ clubs/activities, 2 pickleball courts, restaurant with full service bar and more. Sorry, no dog allowed at this interior lot location. Shown by appointment, 24 hour gated community. In Maple Leaf, It's all about the lifestyle. Pet Restrictions One indoor Cat Allowed No Dog.